I’ve been saying in the last few posts that I have not been feeling well, so I thought I would fill you all in on what’s going on with my health. It has been a long time since I last did a health update, and honestly I have been digging my heel’s in and just hoping in time I would feel better. Instead, I thought it was time to fill you all in. 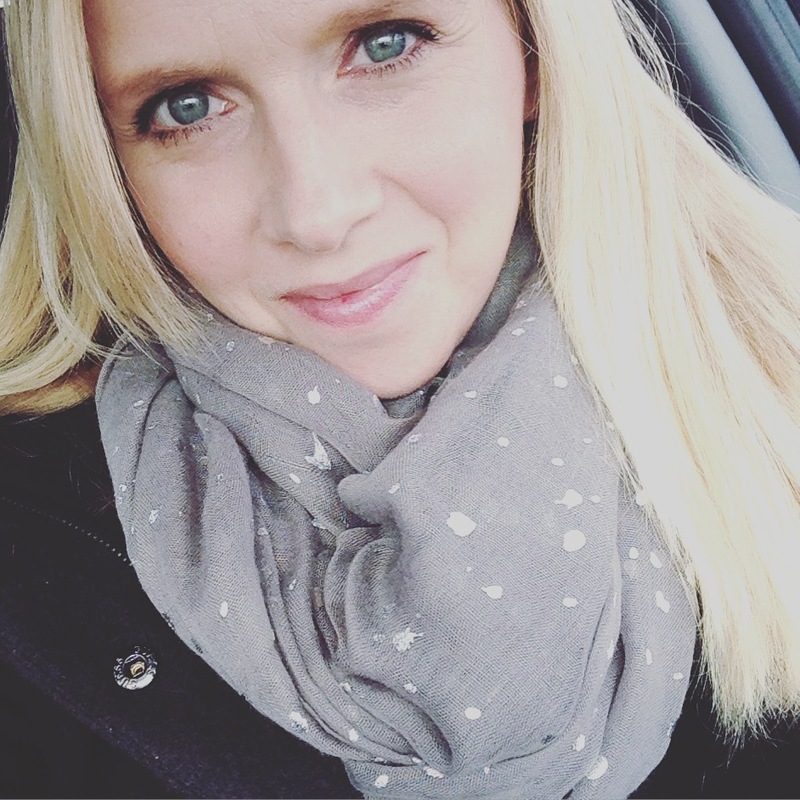 I am still in remission–praise God! We are not sure what is causing my health problems, which includes pretty severe nausea most days, starting in the morning. I wake up almost every day with a case of the dry heaves. I never throw up, of which I am most grateful for. Despite this, the amount of nausea I feel during the day has caused my appetite to become very low. I am most hungry in the evenings and that is when I try to get as many calories in as I can. Despite working on getting calories in, I’ve lost about 18 pounds the last few months. I really hope to not lose anymore! I am on some anti-nausea meds, but their help is minimal and they make me want to sleep, sleep sleep! Have you noticed I am not doing as many recipe posts here at New Nostalgia? I still have to cook for my family, and eat myself, so you will see them occasionally still, just not as often until I start feeling better! Along with the nausea, I have had digestion issues. I have always had a strong digestive system, so this is all very new for me. I say new, but it has been going on since January. Yes, January. To be real and honest, it is starting to wear on me. We are working with my primary care doctor, my Oncologist, & my Psychiatrist to try to figure out what is going on. We started with getting me off any mood med, knowing that the side effects can cause nausea. That didn’t go so well and has been a rough road as I tried getting back on my normal mood med and I just was not able to tolerate side effects. I have found another, but it does not take me to where I really would like to be when it comes to stability, but for now, it will work. I think all the unknowns of what is going on with my health has really made my anxiety rise and honestly I have felt anxiety like I never have these last couple of months, which really can’t help anything! I started to feel better last month after detoxing off all mood meds (this was a very long road) and sticking with one. But then…my monthly injection happened and it sent me on this downward spiral, both physically and emotionally. I wish I could explain better how it feels. Emotionally it feels like someone put a lid on me and on my joy. Things I used to find such joy in are now just kinda ‘eh’ and I also have found myself quite restless. My morning nausea came back in full swing and so did my anxiety. I told myself and my Todd I will never have that shot again, as it seems to me that it is the cause of all of this misery. We meet with my Oncologist on Tuesday and I know she will not be too pleased to hear this. This shot is what shuts down my hormones as my cancer was fed by hormones and protects me from recurrence. She will probably suggest trying Tamoxifen again (which made me sleep my life away and caused painful ovarian cysts each month) or suggest having my ovaries surgically removed. The monthly injection (called a Zoladex Injection) is a way to chemically shut down my ovaries, so I can see Doc wanting to just remove my ovaries. Many women in my shoes with my type of cancer get this operation done, and I will probably do so, but I feel very fearful about this surgery as it is permanent and what if I feel just as sick with them being permanently gone, not to mention my moods? I will not have the luxury of supplementing with hormones, which is what most women who have had this surgery (including Angelina Jolie) do to have stable hormonal health. If you are a cancer survivor and have had this surgery with no hormone supplementation, would you let me know how you are doing? I would love to hear from anyone who has walked this road. I also have an appointment with a Gastroenterologist in mid June. I would have loved to have seen one sooner, and have been on a waiting list, but boy these guys are busy! I am very curious to know if they find anything wrong with my gut or have any answers for me. I need reassurance from them that this is not cancer returning to my stomach, as with lobular type cancer, the stomach can be a more common place for cancer to return. My Primary Care Doctor has already done blood work, a stomach ultrasound, and checked to see if my gall bladder is functioning properly. All came back normal. Yay! So that is it in a nutshell. It is hard to explain how consuming health can be, especially when one experiences nausea the majority of the day. I know it could be so much worse, but I also know life has changed drastically for me the last few months. I find myself fighting and facing fear with all of the unknowns, but I do know God is with me and has been so faithful in the past to show me what path to take. I feel like I have recently lost my way a bit in just resting in that, but I still know it to be true. I am seeing a new therapist whom I just adore, and she just keeps leading me to the truth that God has got it all. I am excited to share with you as I learn and grow and glean from her. I will also keep you all informed on how I am doing. ~answers to what is causing nausea and stomach issues. ~that the doctors can all collaborate somehow (Oncologist, Gastroenterologist, Primary Care Physician and Psychologist) and come up with the best solutions for me. Right now I feel like a ping-pong ball going from one to another. Praying for you. I know the terrible feeling of severe anxiety. I have some serious health problems also. I also have Neuropathy that is so very,very painful & the meds are not working much. There is no cure. So, pain both emotional & physical I am quite acquainted with. I can’t walk much now & housework & cooking has suffered. My children are grown so at least I don’t have that worry of being a mother to growing children who need so much from their mom. Don’t worry about the recipe’s & so much to post on here that isn’t a must. You bless us with your postings still… I think I speak for all you reader’s. We care. Prayers are coming your way. We support you! Praise God for the continued cancer remission! I went through nearly the same exact side effects when I was on Lupron, a similar type of drug, a number of years ago. Shutting down and/or changing horomone levels is very hard on some of us. Nausea, exhaustion, and psychological effets that are hard to even describe. Added female issues, I can’t imagine going through it without having continued with my mood meds. Things do get better when the injections are over, however! Just saw your post on Pinterest & wanted to share too, if I may. I too had BC, ER positive, BRCA2 as well. Did 5 years of Tamoxifen (joy, joy) & opted for a complete hysterectomy. Just wanted to tell you (if you decide to go this route) that it was a very manageable surgery. The vaginal soreness was a bit of a challenge but all in all, the surgery wasn’t a bit bad. I had a bi-lateral mastectomy a few years prior. About the nausea, I developed a malfunction of my autonomic nervous system (POTS – Postural Orthostatic Tachycardia Syndrome), as a result of BC treatment, the surgery or the stress – who knows. But one of the symptoms of that is extreme nausea. Mine is not neeeearly as bad as yours but since it took me 5 years to get a diagnosis. Thought I would throw that out, just in case. There are varying degrees of these malfunctions & this may not apply to you at all. Thank you for this update on your health, you have been on my mind lately. You are in my prayers and you are so brave and have come so far. God is with you never forget and he will never let you down. You are doing great! I have stage 4 breast cancer. I have found great encouragement in reading your blog. Thanks for using your gifts for God! I had a mastectomy in 2011. My cancer was driven by estrogen. Hormone drugs like Tamoxifen did not work for me. I had those shots to induce menopause in me but I didn’t have nausea. Eventually, I had an oophorectomy. The first months I was an emotional time bomb but it eventually plateaued. I have liver mets right now and have been undergoing chemo. The cocktail of drugs that are given to me before each treatment have made me feel like your “mood” lately. I understand! Please feel free to ask questions. Praying! Praying for you Amy! God is good and faithful! Also praising God your cancer hasn’t come back… I praise God for the same for me! I know you are already seeng enough docs and trying to address all these issues, but I can I dare to make you another suggestion? I have been learning a LOT about illness/nflammation and its relation to digestion. My niece and I have been on a similar path in changing our diet and re-vamping our gut. There are books with guidelines (Mark Hyman’s books, also Dr. Alejandro Junger “Clean Gut”), but better yet, you can see a functional medicine doctor who can test you for different issues that come with digestive problems (which are linked to all illness, by the way). Finding out our food sensitivities and adjusting our diet accordingly (plus taking the right supplements) have been the answer for both my niece and I.
I am so sorry to hear about what you have been going through. Thank you for sharing it with us all. We can uphold you in prayer. That’s what I love about God. No matter where we are in the world we can pray and uphold one another. I will be praying for your gorgeous family also. You are an amazing woman Amy. This might seem a little silly but I know you have essential oils. Have you tried to use a bit of ginger essential oil to help with your nausea? Ive heard so many amazing stories about how its helped people with bad nausea. Just a thought that might help you a little. Sending big warm hugs and prayers all the way from Australia. Praying for you, doctors, husband and girls!!! I had the surgery at age 33 after my breast cancer came back. I’m now 7 years out from that surgery, almost 12 years total from initial diagnosis. I’d be happy to talk with you. Just shoot me an email. Amy, thank you for your transparency!! I will be praying for you and your beautiful family!!! I cannot imagine the toll but empathize and know God us with you all. Sending lots of love, prayers, and care!!!!! Oh, I am so sorry to hear this! Though the circumstances are totally different, I was sick through all of my pregnancies and so when you say months of nausea and how consuming it can be to feel sick to your stomach all the time, how I sympathize!!!! Then, as you say, adding in all the stress of the unknown…. I pray that God will continue to make you able to rest in his care and love for you. (On a side note, I noticed a comment about fructose malabsorption; if your GI doc doesn’t mention it, you might want to at least ask. My sister was dx with it after many years of mystery GI troubles. Worth a try, anyway. So glad that apptmt is coming up soon. Also, I’m sorry I can’t weigh in on the ovariectomy issue; my cancer was not hormone-driven.) I will pray. May the all-sufficient grace of our Lord Jesus sustain you, my friend! That rings so true with me right now. I feel like you verbalized my heart. My unknowns are with the health of my daughter instead of myself. Yet, like you I’ve seen God’s faithfulness. I pray that you will indeed rest in that truth as I reaffirm it to myself as well. When you say you had your gallbladder checked and that it functions correctly did they just do an ultrasound which shows Structural function or did they do an actual HIDA nuclear scan to see % of function? One can have normal ultrasound of gallbladder but it may not work well in getting the bile out to help with digestion esp. of fatty foods. The HIDA scan with CCK injection does that. Also, did they do an EKG and echo cardiogram to check cardiac function? Hi Dear Amy, It was with a heavy heart that I have read your post. I was so blessed to be able to be with you just a short time ago. Things were just a bit better then, but that was right before that awful shot! !! I have copied your specific prayer list, and YES for sure, those things will be included in my prayers. I wish that I had someone that I could contact and refer to you, with a similar situation, but I don’t. I was happy to see that you received a response from Kristin ( above). Five years ago I had my ovaries removed because I had a large growth on both of them and the ovarian cancer marker test came back high. The oncologist I was referred to was 70% sure I did not have cancer but the only way to know for certain was to have my ovaries removed. Luckily I did not have cancer. Because I also had a history of breast cysts my breast surgeon recommended that I not take hormones after the surgery. Within 2 days I was having terrible hot flashes and night sweats and a racing heartbeat. I was also having some anxiety which I never had before. It was not easy and the racing heartbeat and anxiety lasted about 3 months. Over time the hot flashes and night sweats subsided and I started feeling like myself. Only you can make the decision to have your ovaries removed but the shots you are getting seem to be causing you many issues. I wish you well. You have great faith and I do believe that will help in your decision. I just wanted to reach out to you as someone who has had her ovaries removed due to breast cancer. My BC was 12 years ago. I was 36 yo with a newborn baby, 2 yo and 4 yo. My mom and her mother had both died from breast cancer in their 40s. I had a double mastectomy, because of my history (though I was warned against such drastic measures, they wanted me to have a lumpectomy). I later found out that I was BRCA1 positive, with a high risk of ovarian cancer. I had those out at age 37. I had some trouble with hot flashes and some mood issues for a year or so (no too bad). I can’t take the hormones either, so I just had to deal with it. I have to watch my bone health closely, as I am now at risk for osteoporosis. So, I would say it was a good choice for me. You are in my prayers, please take care! I’m so sorry to hear this, Amy. I’ve had a bad gut for almost 30 years. When it first began, I went to all these specialists and they couldn’t find anything until I had a stool test done and was loaded with parasites. All the parasites and drugs made my gut bad. Last year a friend told me I probably have fructose malabsorption so I looked it up, got rid of all fructose and other things and my gut is SO much better. I would love to see this help you. Here is one link I found about it but there are many sites with info. 50% of IBS is caused by fructose malabsoprtion. I will pray for you. Prayers continuing to come for you, my dear!!!! !